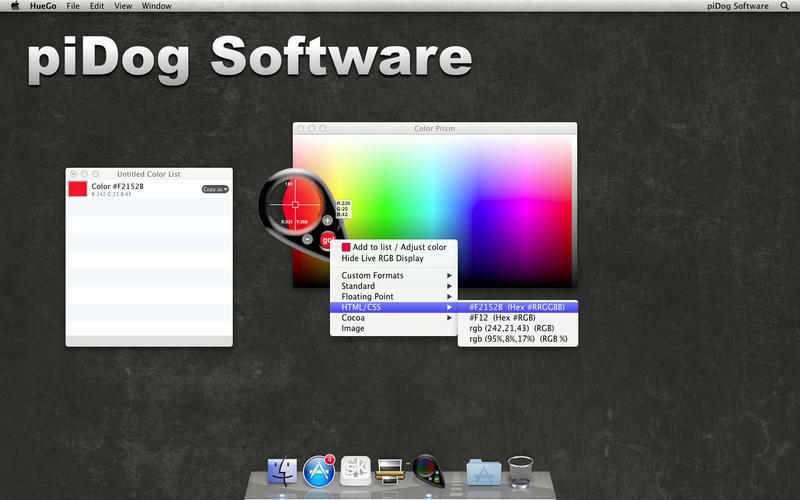 Color picker selects colors from anywhere on screen. Is there a better alternative to Hue Go? Is Hue Go really the best app in Author Tools category? Will Hue Go work good on macOS 10.13.4? Hue Go lets you select colors from anywhere on your screen and copy the html HEX code with ease. Easy to use, just open Hue GO! and press the escape key to begin sampling. Point to the color you want to sample and press escape again. Press Command-C to copy the code. Free download (see above link) is Lite version. Many minor bug fixes and internal improvements. Added some subtle visual effects. Fixed possible crashes in color list. Hue Go needs a rating. Be the first to rate this app and get the discussion started!